FenwayNation—Red Sox, Mookie, J.D., Bogaerts, Sale, JBJ—Founded 1/27/2000—9-Time Champs: The New FenwayNation 2018 Calendar Is Now Available! 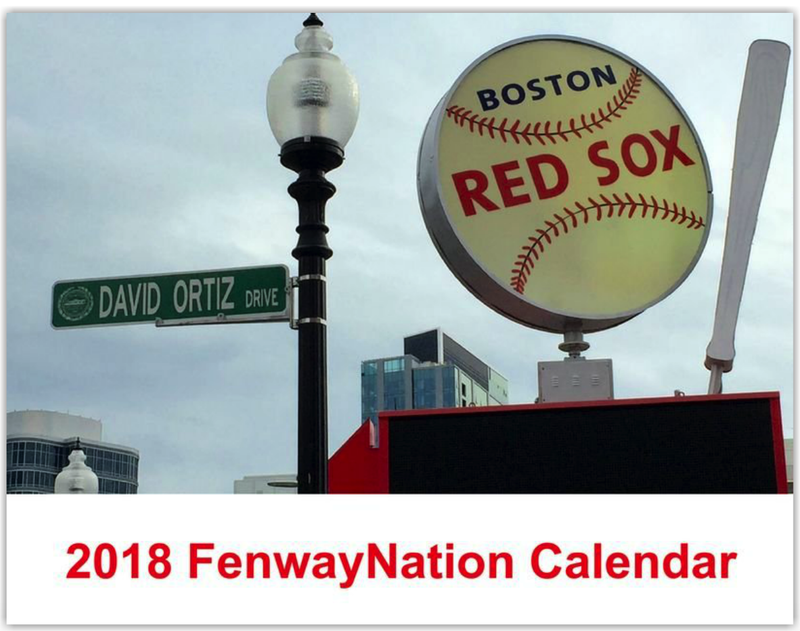 The New FenwayNation 2018 Calendar Is Now Available! It's finally here! Now you can purchase the brand, spanking new 2018 FenwayNation Calendar! All new, exclusive photos each month of Fenway Park and the Red Sox. For just $16.99, you can have 365 days of Carmine Hose Glory. Order your copy (or, preferably, copies) HERE.